Business and Property Law | Alperstein & Diener, P.A. Business and property law can be complex and stressful. 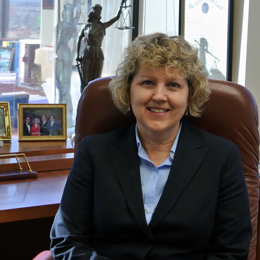 The guidance of an experienced attorney can help you navigate common legal challenges in these areas in order to more quickly achieve your goals or overcome issues. 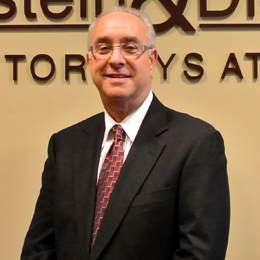 The attorneys at Alperstein & Diener routinely provide services relating to business and property transactions, and have the experience necessary to successfully represent clients in any related dispute. The laws and regulations governing administrative agencies play a large role in the foundation of their relationships with other government bodies and the public. As most administrative agencies were created originally to guard the best interest of the public it is important to have an experienced team of lawyers, like those at Alperstein & Diener, to guard your rights. Our understanding of the legal principals and regulations that govern these administrative and government agencies ensures the best possible service for your case. When a dispute arises in your business, you need the most seasoned litigators to ensure success for your case. Whether facing issues related to breach of contracts, shareholder issues or vendor agreements, the attorneys at Alperstein & Diener will work with you to understand the details of your individual case so that we may prepare a case that best represents your interests. Should the litigation go to trial, our experienced litigation attorneys will work diligently to achieve the best possible outcome for your case. As an employee, you have certain rights that need to be protected, such as the right to negotiate and collectively bargain, to be protected from discrimination and to ensure a safe and equitably paid position. When your employer begins to infringe on those rights, the experienced attorneys at Alperstein & Diener can help. Navigating the legal climate of Real Estate can be challenging. Without an experienced attorney on your side, the many regulations about the transfer, sale, purchase or zoning of land can be overwhelming. The lawyers at Alperstein & Diener are here to help guide you in the right direction to ensure a fair and legal outcome when engaging in real estate transactions. The legal relationship between a tenant and landlord in the rental of a commercial or residential property can vary based on the contract between the two parties. Further, Maryland State laws which regulate nondiscriminatory rental practices, termination, hold overs or property damages can be complex. These laws are essential to protecting the rights of both a tenant and a landlord, and as such, it is essential that you speak with an experienced attorney regarding your rights in a dispute. The lawyers at Alperstein & Diener have years of experience representing clients in issues related to landlord/tenant laws, and can help to provide a just result for your dispute. At times, contracts require parties within a dispute to enter arbitration or mediation proceedings. In these situations, the lawyers at Alperstein & Diener have the ability and skills to work outside of the court system as an unbiased third party, acting as the mediator or arbitrator for your dispute, or to represent the interests of individual clients. We have continually worked with clients over the years to ensure fair dispute resolution and equitable outcomes. If a dispute or legal issue arises in the course of your business or real estate activities, call Alperstein & Diener to speak with one of our experienced attorneys.